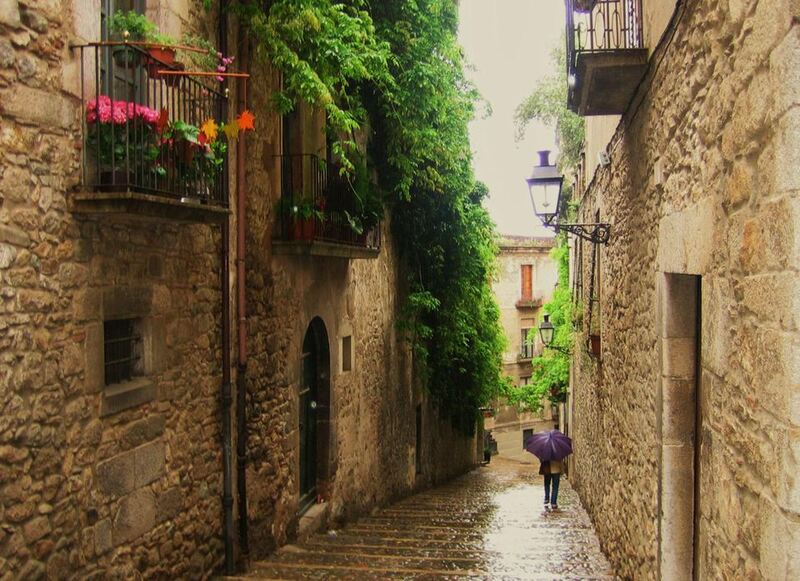 Girona is a popular city in Catalonia, particularly for people looking for a quieter place than Barcelona to base their Catalonia holiday from. It's as easy to explore the north of the region from Girona as it is from Barcelona, and both cities have more than their fair share of interesting landmarks (for example, their famous Jewish Quarters). In this guide, you'll find all there is to know about traveling from Barcelona to Girona and back with ease. We'll give you recommendations on where to stay, activities to keep you occupied, and what landmarks you should keep an eye out for, especially if it's your first time in the area. If you are traveling from Girona airport, you should also read our page about airports in and around Barcelona for travel tips. Should You Learn Spanish in Barcelona? Now that you're all read up, let's start by how you'd like to reach Girona. The new high-speed AVE train from Barcelona to Girona will get you from city to city in just 37 minutes. This is a lot more convenient than taking the bus or driving, but you might wish to consider a guided tour to get the most out of your trip north of Barcelona. You can book your rail ticket here. If you're not familiar with traveling to and from Barcelona, we recommend reading up on Barcelona bus and train stations. Lots of tour companies run guided tours of Girona from Barcelona, almost always combining the visit with other destinations. If you're an art buff, we definitely suggest this tour that includes entrance to the Dalí Museum; if you prefer a small group, this bus tour will take you to Girona by the scenic route; and if you have a little more time to spend, this two-day tour will take you by Figueres and Montserrat as well as Girona. Sagalés is the name of the bus company that runs the route from Barcelona to Girona. There aren't that many buses per day, so if you're looking for speed and convenience, you're better off taking the train. But if buses are your thing, you can find their timetable online. As always, you can use our Barcelona Bus and Train Station Guide to help situate yourself in the area. Sometimes while traveling in a foreign country, you want to walk (or in this case, drive) to the beat of your own drum. If that's your prerogative, you should definitely look into hiring a car. We suggest Priceline. Once you have your car, just follow the AP-7 road from Barcelona to Girona (note that AP roads are toll roads). We also have a handy guide on hiring a car in Spain if you need some extra help.